The ViewSonic® SC-Z56 quad output zero client is the perfect solution for organizations seeking a secure, easy to manage, reliable solution in networks based on VMware. Certified for VMware® Horizon View™, this highly secure zero client supports advanced 2D/3D applications and can simultaneously drive up to four Full HD displays. Based on the Tera 2140 chip platform, this new zero client provides the highest possible performance in a VMware View environment. 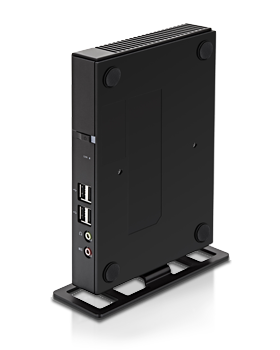 The SC-Z56 is ideal for high-end workstations, investment traders, or any user requiring multiple displays and maximum workspace. ViewSonic’s zero clients are the smart choice for optimizing your virtual desktops.